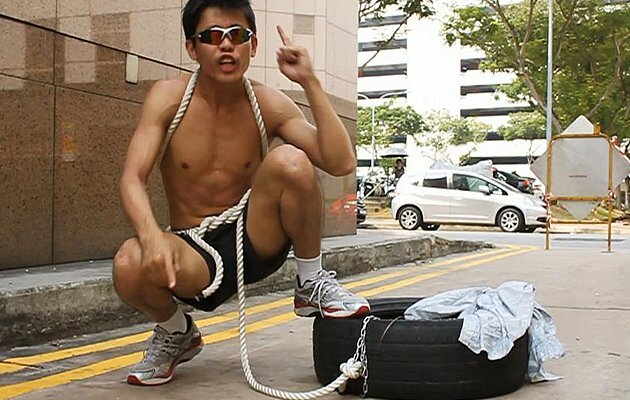 This quirky guy single-handedly raised almost $100,000 via crowd-funding in 2012 by running the Standard Chartered Marathon while dragging a 14kg tyre that’s strapped to his waist. Because of his feat, much awareness was garnered for the Bone Marrow Donor Programme (BMDP). Undoubtedly, it’s an unusual way to do charity work. 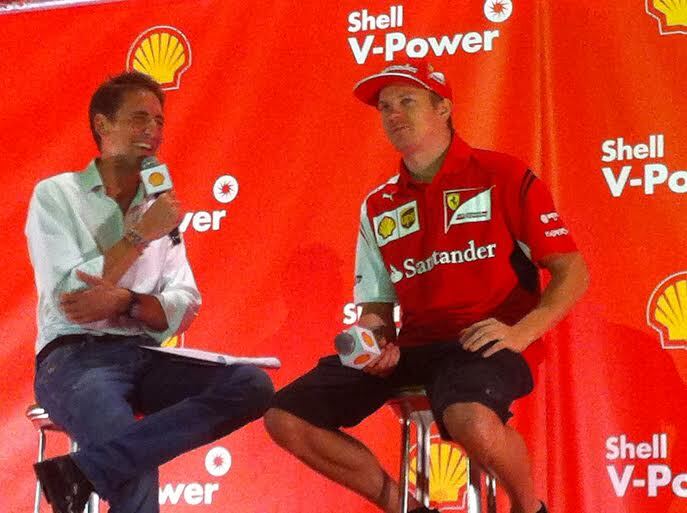 But in his own words, “the crazier, the better”. We met up with Gerrard aka “Ah Siao” to find out how he accomplishes such super-human athletic feats, and to catch up on his future goals for BMDP. Why do you choose the Bone Marrow Donor Programme as your cause? Many think that I’ve a family member with a blood disease. But no, I was motivated to do my part when I learned about the harsh reality that blood disease patients face. Did you know that they only have a 1 in 20,000 chance of finding a suitable bone marrow donor? In other words, they would have a better chance at striking 4D than finding a compatible and willing donor! If you’re already running a marathon for charity, why drag a tyre too? The tyre symbolises the extra challenges that blood disease patients face due to lack of awareness about bone marrow donation. Many people think that it’s painful or troublesome, when all it takes is a simple cheek swab to register your DNA. In the chance of a successful match, the discomfort level of donating your bone marrow is comparable to donating blood. There are no health risks because bone marrow, like blood, is self-regenerative. Why do you go by the moniker “Ah Siao”? I’m the typical Ah Beng that everyone can relate to, and I’m naïve enough to do what others say can’t be done. Being famous is not my goal so I don’t go by my own name. I hope that adopting this quirky persona would draw better and bigger awareness for my cause. You ran 31 marathons within 31 days this year for the same cause. How was it like? Hellish! I endured multiple injuries but I ran with a signboard of the BMDP logo which reminded me of my purpose. At first, my friends and fans thought I was just kidding, but when they saw me persevering, some ran along with me and some made donations. I’m glad I fulfilled my goal; every kilometre that I ran was evidence of my commitment to the charity I’ve adopted. Wow. Care to share what’s your next fundraising goal? Next year, since Singapore is turning 50, I intend to head to HDB flats and run up 50,000 storeys within a month. I estimate that it would take me at least 6 hours a day. Running is what excites my soul, and it doubles up as a platform to inspire people and raise awareness. If nothing in my body is broken, I’ll definitely carry on. Previous PostRaving about ‘The Rover’ Next PostWhere to go in Southeast Asia?